First up this week, catching up on some news including Ghostbusters VR Chapter Two's release, the VOID opens at Disneyland (sans Ghostbusters), Playmobil Real Ghostbusters and Ghostbusters II figures are on the way, and The Toys That Made Us on Netflix. 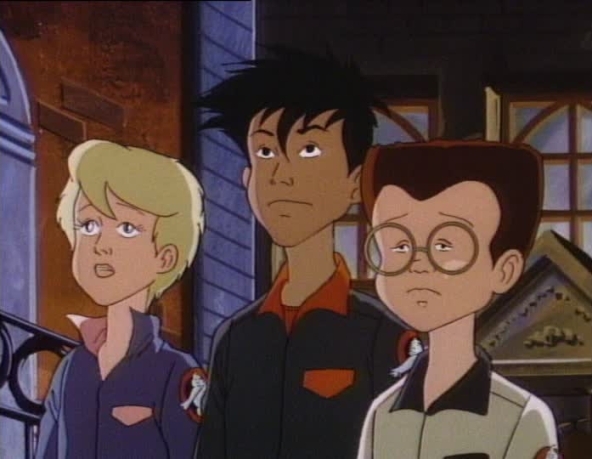 Then, an article on Comic Book Resources on the 15 Dark Secrets of Real Ghostbusters inspires some discussion, what caused the downfall of Real Ghostbusters (and Saturday Morning Cartoons in general)? Stay tuned for the discussion! Look out, TV Hall of Fame, here come the original Not Ready for Prime Time Players. After a quick update on the latest news including Blitzway's Ecto-1 going up for pre-order and Paul Feig's latest comments about the 2016 film, join us to celebrate Dan Aykroyd, Jane Curtain, Loraine Newman, Chevy Chase and Garrett Morris as they were inducted into the TV Hall of Fame this past week. Surprisingly, Bill Murray was also on-hand for the celebration and had a few very sentimental words to say. Signs, signs, everywhere there's signs. And Ghostbusters is one of the most recognized (which should come as no surprise to our listeners). Stay with Troy and Chris for the week as they chat about TMNT/GB Issue #3 (no spoilers), Blitzway's announcement about pricing plans for their 1/6 scale Ghostbusters figures, and remembering the Universal Ghostbusters Spooktacular on the anniversary of its final performance. Could a stage show like it exist in this cynical age? Or is a game-based ride the only way that Ghostbusters can exist in a theme park. We're also announcing the Loot Crate winner at the end of the show. And... so, uh, which one of our listeners is currently incarcerated at the Hall County Jail? Guys... this episode is ridiculously packed. This week, we're wrapping up all of this weekend's San Diego Comic-Con announcements, reveals, comments, questions, and more. Animated Movie in 2019? A live-action film coming in the near future? A Ghostbusters Answer the Call mini-series AND a TMNT/Ghostbusters crossover sequel from IDW? TONS of toys from Diamond Select. Blitzway's amazing 1/6 scale Ecto-1. Spirt Halloween costumes and proton packs... (take a breath) all of that PLUS a few other news items including the Toronto Second City return of Bob and Doug Mackenzie and more! Grab a snack, it's a long one!